Coatings — Victory 1 Performance, Inc. Victory 1 Performance has expanded their horizons and has made the move to offer their own proprietary coating. 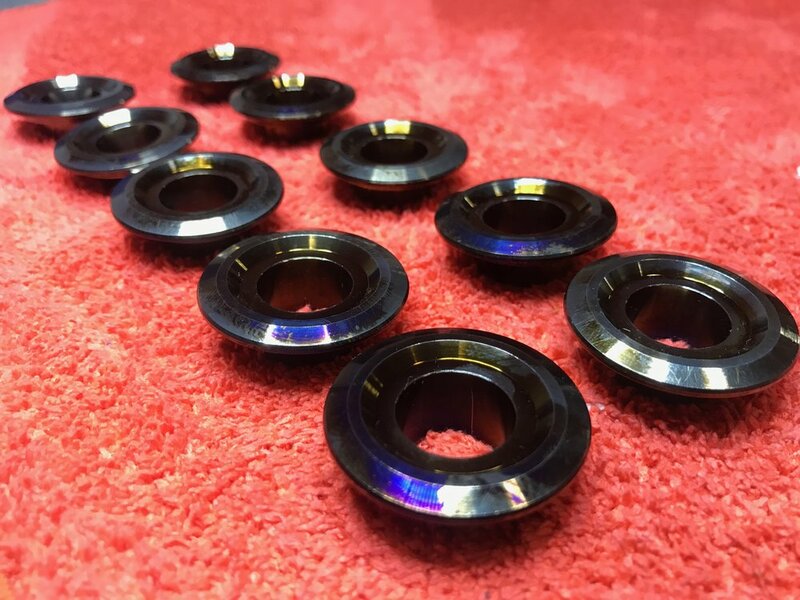 From raw material, to the forging, machining, microfinishing, and soon to be coating, is done in-house under our roof for complete control of quality, and 100% confidentiality. Materials - Applies to non-porous metals, iDLC® does not apply to porous metals such as brass, cast iron, sintered materials, and similar metals. Surface finish - intelDLC® provides maximum benefits on smooth surfaces. A finish of 2 microinch or better is desired, and it's done in-house at our microfinishing facility. Unlike Plasma Vapor Deposition (PVD) processes that require a rough surface for a film to mechanically bond, intelDLC® is a Plasma Assisted Chemical Vapor Deposition (PACVD)process that bonds chemically and mechanically. Chemical bonds are about 10 times stronger than mechanical bonds. Coatings are only as good as the surface below them; the smoother the surface, the better intelDLC® adheres and performs. Friction and wear are major factors limiting the performance and service life of precision components. Coating them with iDLC® is the most effective and frequently the only possibility of making a decisive difference to their operational performance. intelDLC® enables innovative power-train concepts to become reality. Use the Contact form below to inquire about our Coatings.